In the immediate vicinity of the hospital, the university north section and the sports institute, the dorm is also convenient for students who want to get quickly into the nature without giving up good transportation possibilities. The 64 two-person group flats each extend over two floors, the kitchen on the first floor and the bathroom on the ground floor. 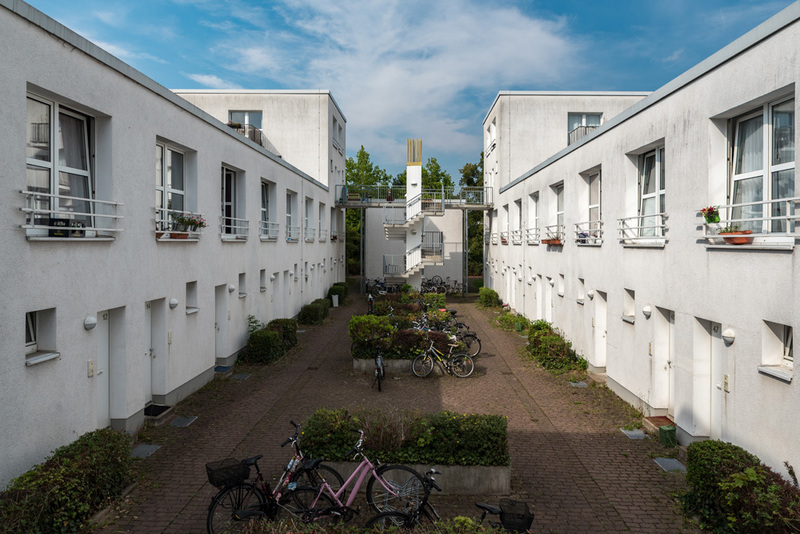 The shared flats for 4 people are located in the towers of the Zimmermannstraße 5. They have a common room with an open kitchen, a bathroom, a separate WC and a storage room. The four unfurnished rooms are 16 m² each. In addition, the dorm has a sauna.